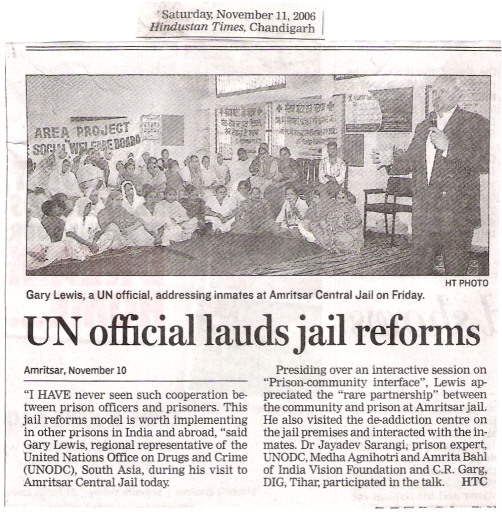 'Prison-Community Interface' was organized in the Amritsar Prison on November 10, 2006. This one day seminar was attended by the Prisoners, Prison Officers and members from the community including NGOs. Mr. Gary Lewis, Regional representative of UNODC (United Nations Office on Drugs and Crime) ROSA, New Delhi chaired this seminar. Dr. Jayadev Sarangi, Prison Expert, UNODC presided over this function where Kunwar Vijay Pratap Singh, DIG Central Jail proposed the vote of thanks. Speaking on this occasion, Mr. Lewis appreciated the rare partnership and cooperation between the Community and Prison. "I have not seen this kind of mutual respect and cooperation between the prison officers and prisoners. In some countries, where I visited, prisoners and prison officers see each other like enemies." he added while addressing the gathering here. He also reviewed the progress of H71 project launched by the UNODC in this prison. Sh. C. R. Garg, DIG (Prisons), Tihar Jail, New Delhi also expressed his views on this occasion. Prominent amongst the key speakers were Ms. Medha Agnihotri, Amrita Bahl from India Vision Foundation, Roop Kumar and Sh. Surjit Sharma. 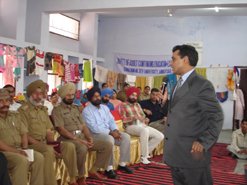 At this occasion, prisoners presented a cultural programme including traditional Punjabi folk dances Bhangra and Giddha. 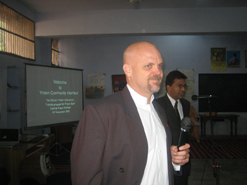 Mr. Lewis also visited the De-addiction centre and interacted with the drug-addicts. 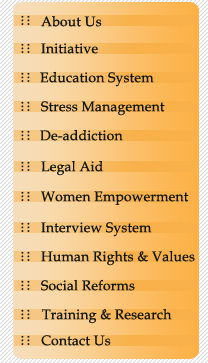 He was pleased to see the new techniques of de-addiction process comprising of sports activities, Yoga and Counseling. 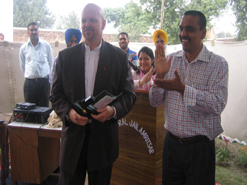 He also appreciated the education system being implemented in Amritsar Prison. In his concluding address, Kunwar Vijay Pratap Singh, DIG Central Jail Amritsar assured all types of help and cooperation if any other prison in India or abroad wants to implement this model.